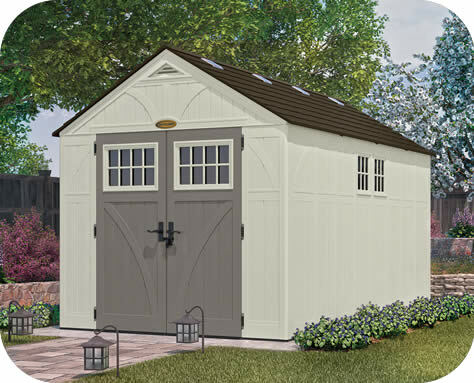 Our large Tremont 8 ft. x 13 ft. Suncast shed boasts a large capacity of 715 cu. 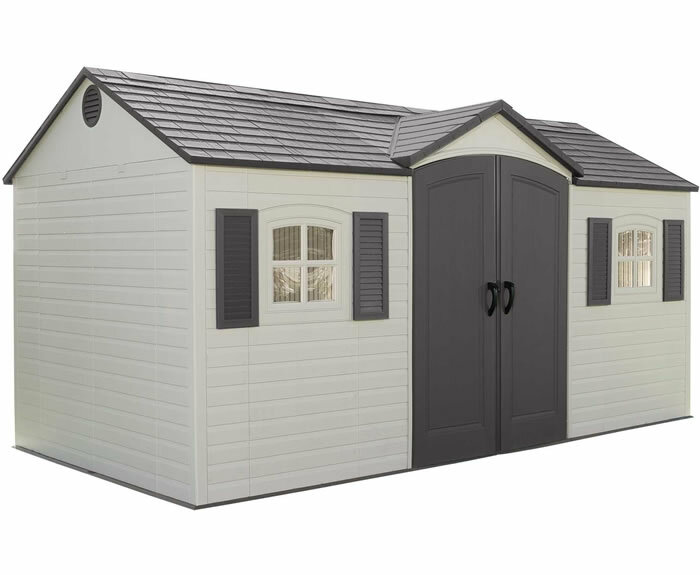 ft. Large double doors with windows allow for easy access of large items. 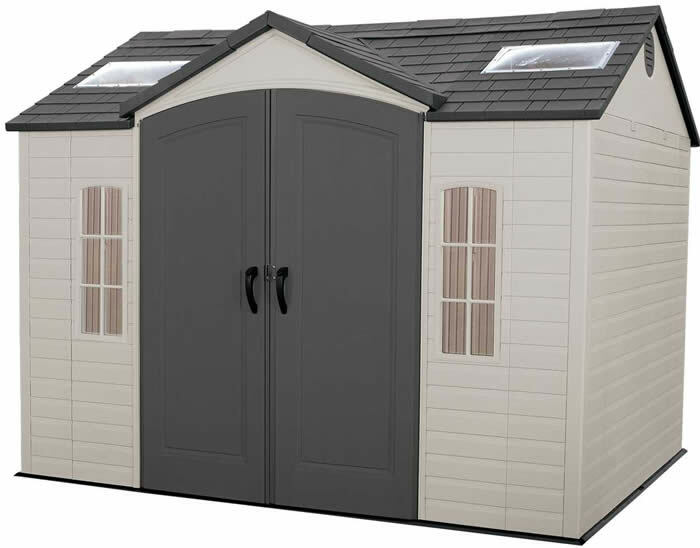 Constructed of blow molded resin that is as durable as it is strong. 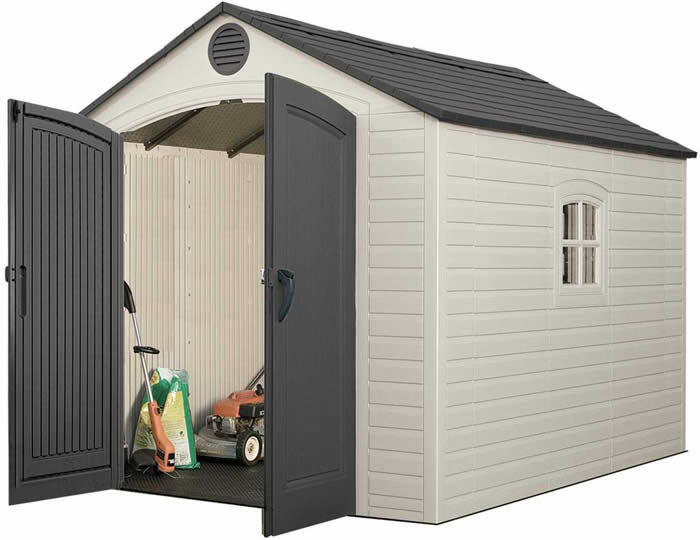 Resin sheds are easy to clean and will not rust, rot or dent. 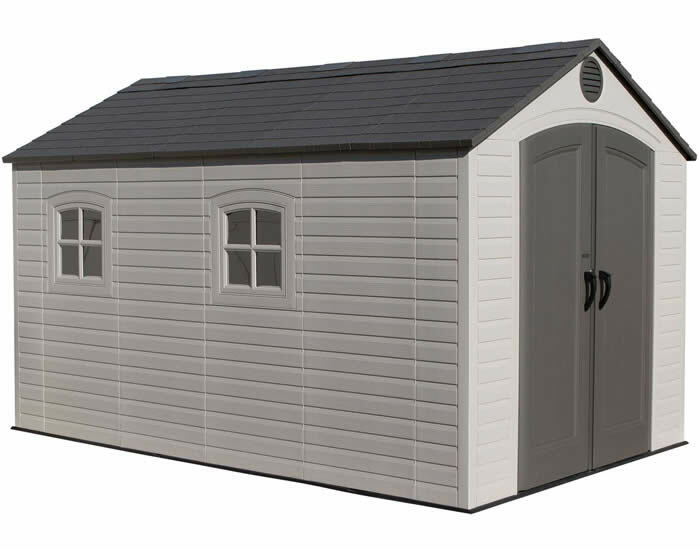 The roof is constructed of durable resin and reinforced with a heavy dutry steel truss system. 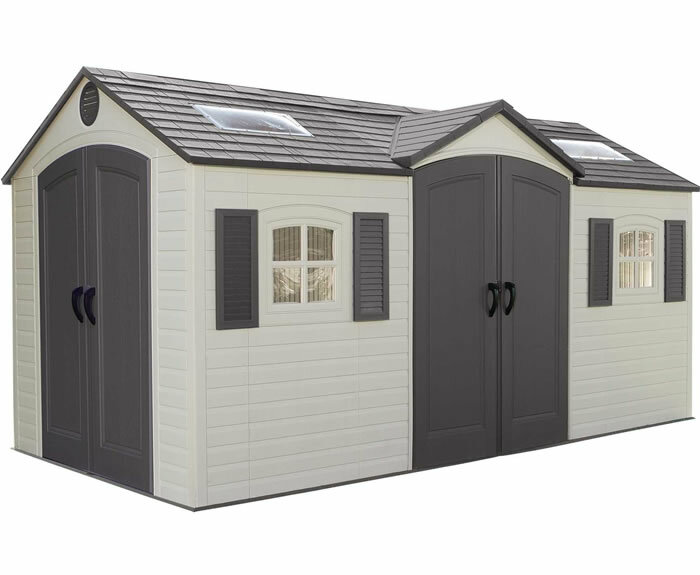 Also included are 2 windows and 8 skylights which allow natural light inside during the day, 4 corner shelves for quick organization and a resin floor to give your shed a nice finished look inside.